Sherpa Khangri Outdoors (P) Ltd. is a Kathmandu based tourism agency specializing in trekking, expeditions and mountaineering. 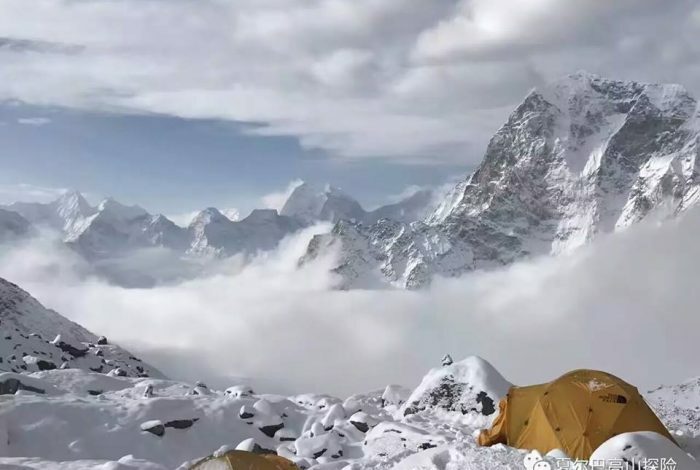 Established by the most promising youths involved in mountaineering, our aim is to provide costumers with an unparalleled experience of Nepal’s splendor. Although we are capable of arranging tours outside of the nation, especially in China, we are currently focused in Nepal. We have skilled trek leaders, renowned mountaineers and experienced guides whose sole purpose is to help you make a life-lasting memories out of your stay in Nepal. In addition to that, we have ties to the professionals in related fields who have experience worth counting upon. We have personnel, resources and contacts to successfully organize expeditions in Everest region, Rolwaling Himal Region and Annapurna region, trekking in Annapurna, Langtang, Khumbu, Rolwaling, Manaslu, Manang and more. If trekking with Himalaya in the backdrop is just not enough, we have provisions for tours around the nation which will familiarize you to cultural diversity, geographical variations and meteorological contrasts throughout the nation. We also facilitate rafting, paragliding, rock climbing, bird watching, mountain flight, bungy jumping, and cable car rides. If you are less interested in absorbing the beauty of Nepal, and are much willing to contribute something to the Nepalese society, we can facilitate volunteering too. In addition to that, we can arrange hiking, tea house trekking, back packing trekking, photography and movie shooting in both nearby and remote corners of the country.